Robin Raven is the author of Santa’s First Vegan Christmas. She holds a BFA from the School of Visual Arts and is now furthering her education. Robin often has her feet on a dance floor or her nose in a book, and delicious vegan food rocks her world. 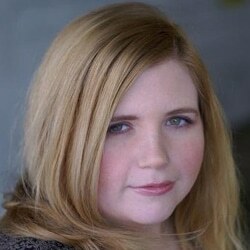 She blogs at RobinRaven.com. Jeanette Hurt is the award-winning writer and author of eight culinary and drink books, including The Cheeses of California: A Culinary Travel Guide, which received the 2010 Mark Twain Award for Best Travel Book, and The Complete Idiot’s Guide to Wine and Food Pairing. As full-time journalist, Jeanette has written about spirits, wine and food for TheKitchn.com, The Four Seasons Magazine, Wine Enthusiast, Entrepreneur.com, Esquire.com, and dozens of other publications. 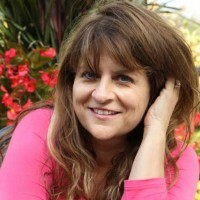 She is the 2008 recipient of the Midwest Travel Writers Mark Twain Award for Best Midwestern Travel Article. She is also a food and drinks correspondent for Milwaukee NPR affiliate WUWM’s Lake Effect program and has been featured on several radio and television programs, including Martha Stewart radio. She teaches wine and culinary classes, both privately and publicly, and has appeared at the Kohler Food & Wine Experience, Wisconsin Wine & Dine, and the John Michael Kohler Art Center. She is a member of the International Association of Culinary Professionals and the American Society of Journalists and Authors. In a previous life, Jeanette was a police reporter for the City News Bureau in Chicago and the Milwaukee Journal Sentinel. She graduated from Marquette University with a journalism degree. When she’s not writing, traveling, cooking or shaking up some concoction with gin, bourbon, or rum, she can usually be found walking along Milwaukee’s lakefront with her husband, their son, and their dog. Caryn discusses recovering from the presidential elections; choosing to be in the light and not succumb to the dark; making regular deposits into the “global consciousness”; recipes and food for thought for Thanksgiving. Robert Grillo is an activist, author and speaker. He is the director of Free from Harm, which he founded in 2009 to expose animal agriculture’s impact on non human animals, vulnerable communities and the environment. As a marketing communications professional for over twenty years, Grillo has worked on large food industry accounts through which he acquired a behind-the-scenes perspective on food branding and marketing. Farm to Fable is his first book. He lives in Chicago. For more information, please visit: http://www.freefromharm.org. 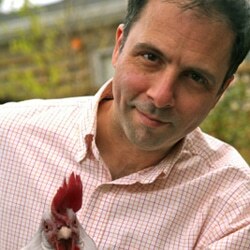 Jason Wyrick is the Executive Chef of The Vegan Taste, the first nationwide meal delivery service founded in 2006. He is the author of Vegan Mexicoand Vegan Tacos, the NY Times Bestselling co-author of 21 Day Weight Loss Kickstart, and the food editor for NY Times Bestseller Living the Farm Sanctuary Life. In 2001, Chef Jason reversed Type II diabetes and lost 120 pounds by going vegan. He left his position as the director of marketing for a tech company and became a chef so he could use his experience to help people live healthier, compassionate lives. Since then, he published the world’s first vegan food magazine, The Vegan Culinary Experience, has been featured in the NY Times, Vegetarian Times, and other prominent publications, and has traveled the world leading vegan food tours and classes. He is the first vegan instructor to teach in the prestigious Le Cordon Bleu program and has catered for prominent organizations such as Humana, Google, Farm Sanctuary, PeTA, and the Frank Lloyd Wright foundation. 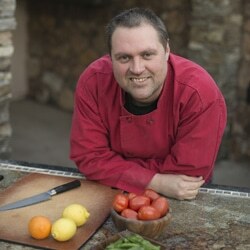 You can learn more about Chef Jason Wyrick and his meal delivery service at www.thevegantaste.com.